The second part of my somewhat crazy project to cover a large wall with hundreds of flameworked pieces. In 2013, I created a campaign named Sea Rocks. A wall to cover! 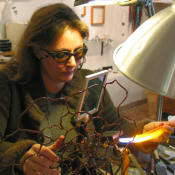 on wemakeit for the creation of a wall installation made from flameworked glass elements. The campaign ended successfully and I was able to start work. I used the funds to buy the equipment upgrade I needed to work on a larger scale. In the months that followed the completion of the crowdfunding campaign, I was able to develop the process and produce the first pieces that are to be incorporated into the wall. You can see in the following pictures the largest pieces I was able to produce after many days of working on the process. There were however unexpected hurdles, mostly due to the failure of some of my old equipment and part of the funds that were intended for the production was used instead for repairs. This is why I need to raise a little more, to cover the cost of the supplies I need for the actual production, silver leaf and glass. I hope the rewards I am offering will tempt you, Check the pictures below to discover some of them ! This project ended successfully on 20/12/2014 22:00! You will get 3 digital images of my work to be used as screen-savers and your name will be entered in a draw to win a Sea Rocks paperweight. You will receive an electronic copy of my Sea Rocks bead tutorial, which explains in details how to make my signature Sea Rocks beads. 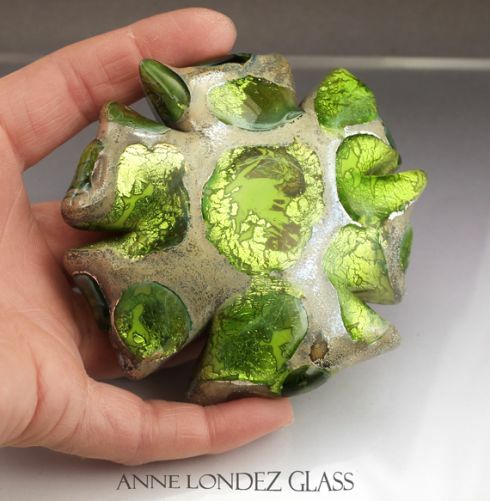 You will receive an electronic copy of my Ebook «From bead to sculpture», which presents my work from 2005 to 2011 and includes a lampwork glass bead tutorial for a Volcano bead. 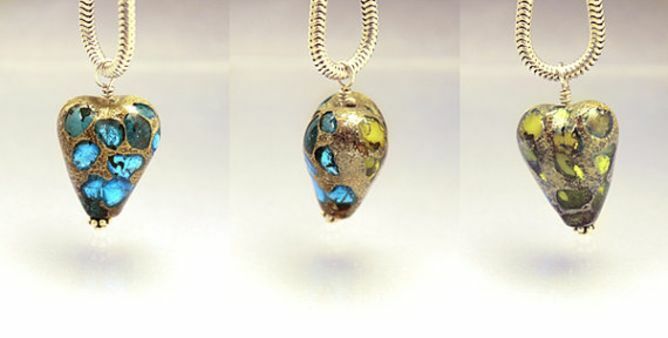 You will get a 30 mm heart shaped pendant in Sea Rocks colors. 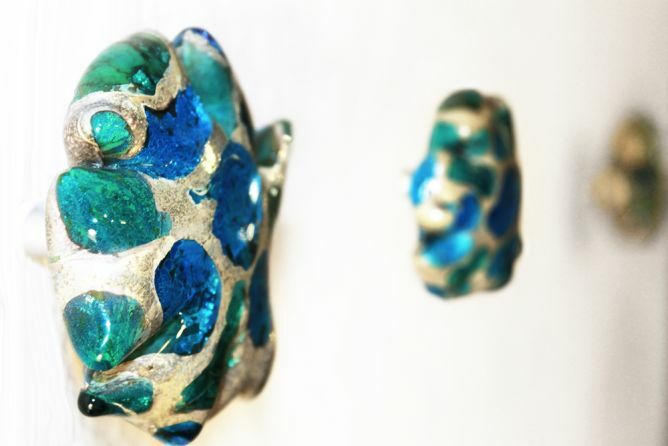 You will get a pair of Sea Rocks earrings, either studs or pendant depending on your preferences. Perfect for a Christmas gift ! 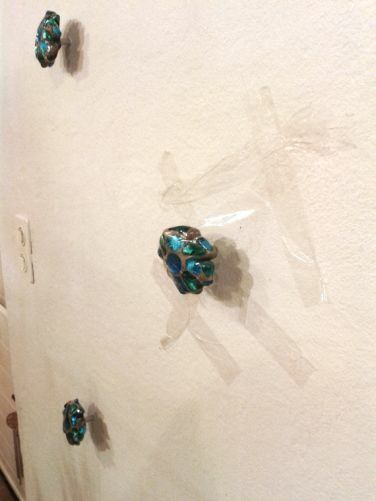 You will get a 40 mm Sea Rocks pendant shaped like the wall paperweights, in the colors of your choice. Each side can be a different color ! 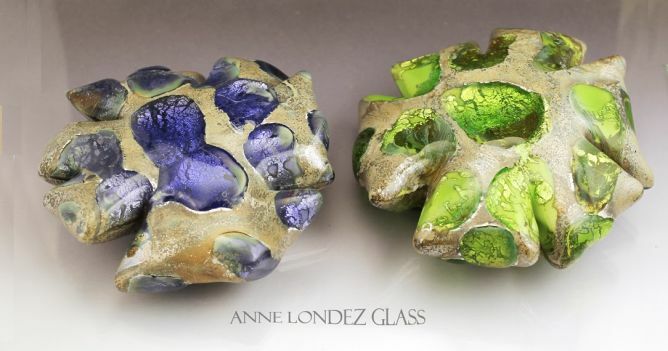 A unique gift for your favorite little one : a hands-on discovery of the wonderful world of hot glass in my studio. 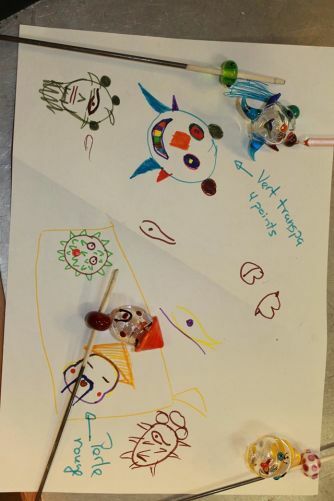 This 1h30 workshop will be centered on the execution of a glass piece made from a drawing by your little artist. The piece will be made by me with the assistance of the child. For example, we can make a little head sculpture based on a glass ball blown by him/her. 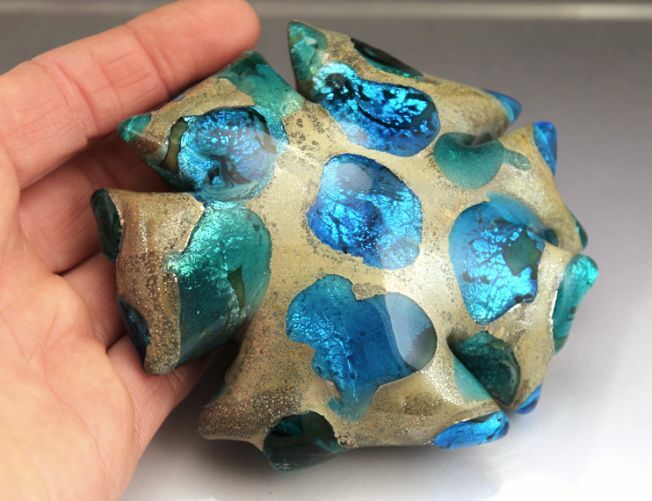 You will get one full size Sea Rocks paperweight in the colors of your choice. 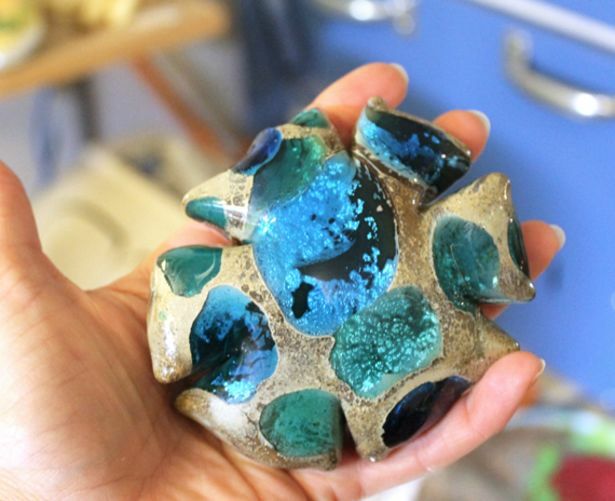 You will get a set of three Sea Rocks paperweights in the colors of your choice, to be displayed as a tabletop mini installation. 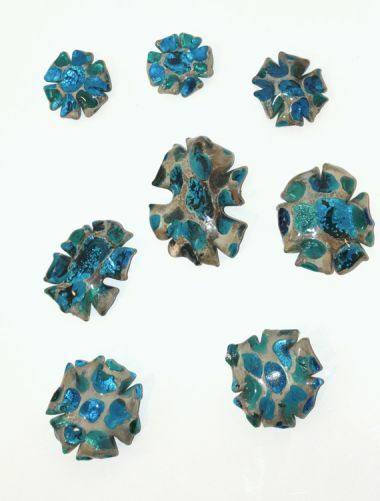 You will receive a little piece of my wall... a set of five Sea Rocks paperweights, to be displayed on your wall as a mini Sea Rocks installation. You will also receive a copy of my booklet «From bead to sculpture», which presents my work from 2005 to 2011.